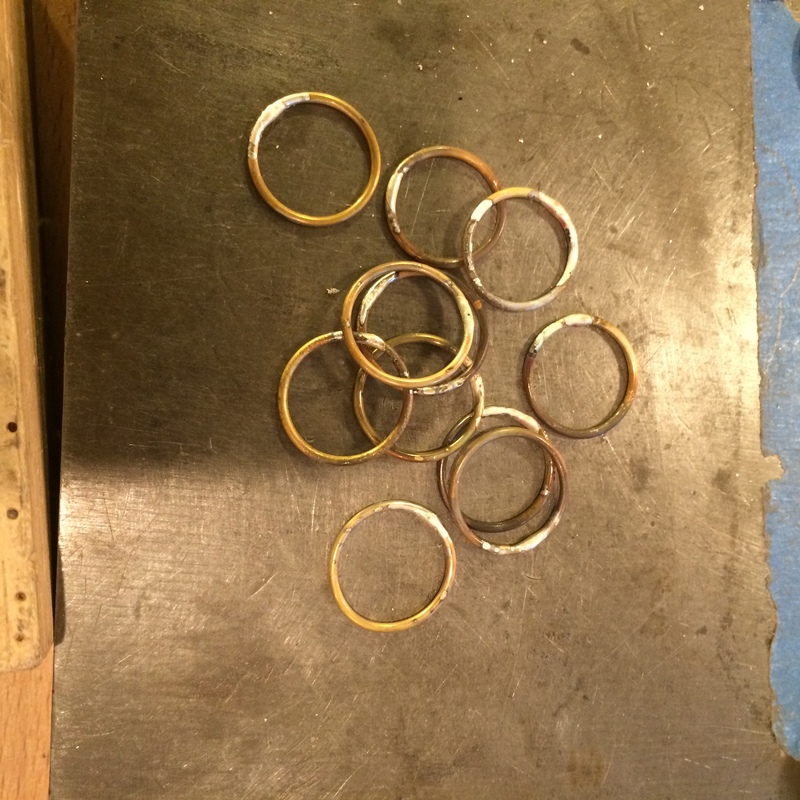 I have struggled with making my own jump rings ever since I’ve been, well… making them. The only thing, in my opinion, more annoying than making jump rings is wire wrapping. 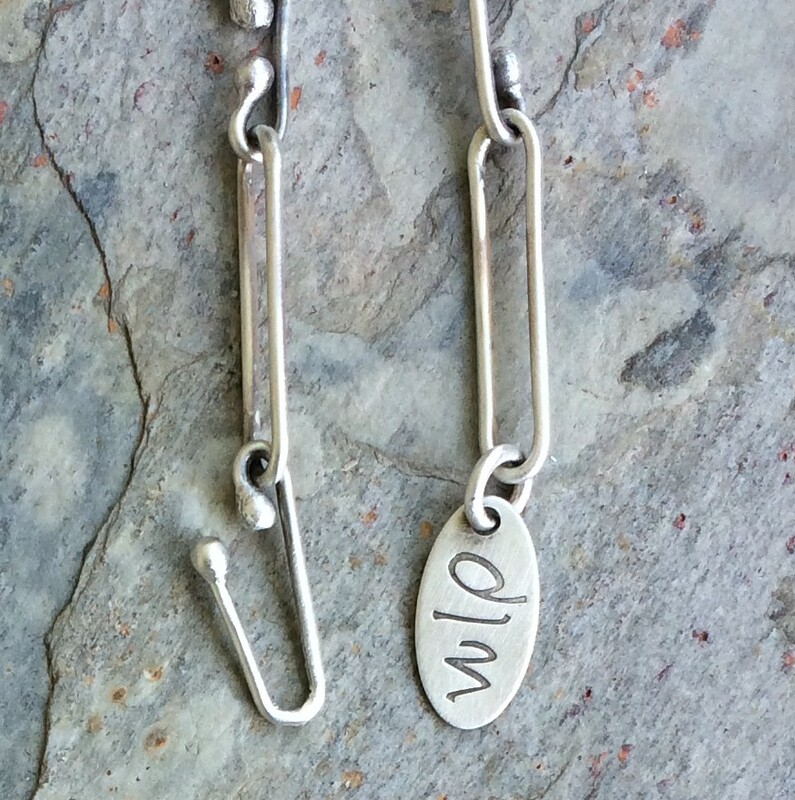 Fortunately I don’t care to make wire wrapped jewelry, but on the odd occasion that I need to make something requiring even the simplest wrapping technique you can believe me when I tell you it involves a lot of swearing and oftentimes the throwing of pliers. I’ve tried lots of different methods and bought different contraptions to make jump rings, all of which make me want to pull my hair out. Which is great at making coils, but I’m darned if I can get that special little cutting device to work as well as it’s apparently supposed to. When I put the coil inside the doohickey thing and run the blade through it, all of the rings smoodge down, bend out of shape and down right refuse to co-operate. I’ve even tried taping them to keep them all lined up tightly. I did watch a lady on Youtube yesterday thread the rings over a length of dowel, which I’ve thought of doing myself, but have never bothered with as it would mean going out and buying every different dowel size that I need. Which is most all of them. Still, I might give it a go as I do like to let my pent up anger out at least once a week and I’m sure this will help with that. Until then that sweet little cutting vise thing just sits there on my table taunting me. I also have one of these. Which looks as though its only existence in life should be to do something wonderful. Turns out, however, I was using it wrong. I was supposed to be using it like this. Should have read the instructions first I suppose. Even so I still find it fiddly, awkward and annoying. Aside from using these fine tools I’ve tried taping the coils and sawing them using all manner of painful hand positions. I’ve cut them on the outside. I’ve cut them on the inside. I’ve used the saw by placing my hand in-between the blade and the saw frame. 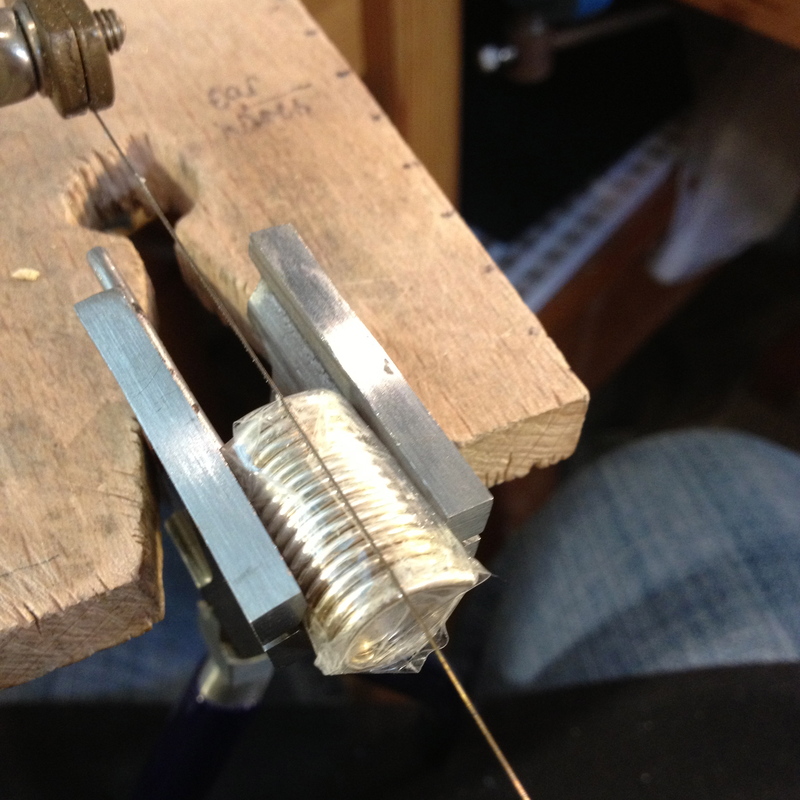 I’ve even filed a groove in my trusty bench pin to lock them in place. It has been a war people. A war I am still determined to win! even think of telling me that you’ve been using this simple way of cutting jump rings all of this time as it might well be the end of our good relationship. And yes I’m annoyed with myself. But this duh moment has definitely brought a little more sunshine into my life. 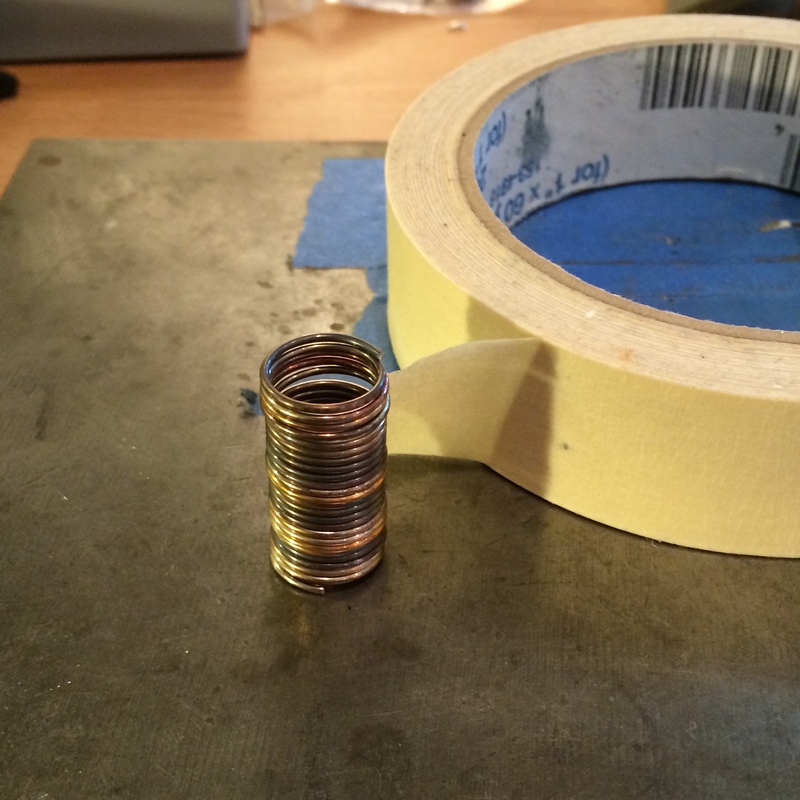 Make the coils and tape them. Place them on the edge of a wooden block or table. O.K. so you can laugh. It’s not actually as awkward as I make it look in the video because here I’m using a very large diameter coil which has made it a little wobbly. Smaller coils cut like butter. 16 x 10.5 mm 18 gauge ss wire jump rings. Then stretched on round nose pliers. Trying as best as possible to keep them uniform in shape. 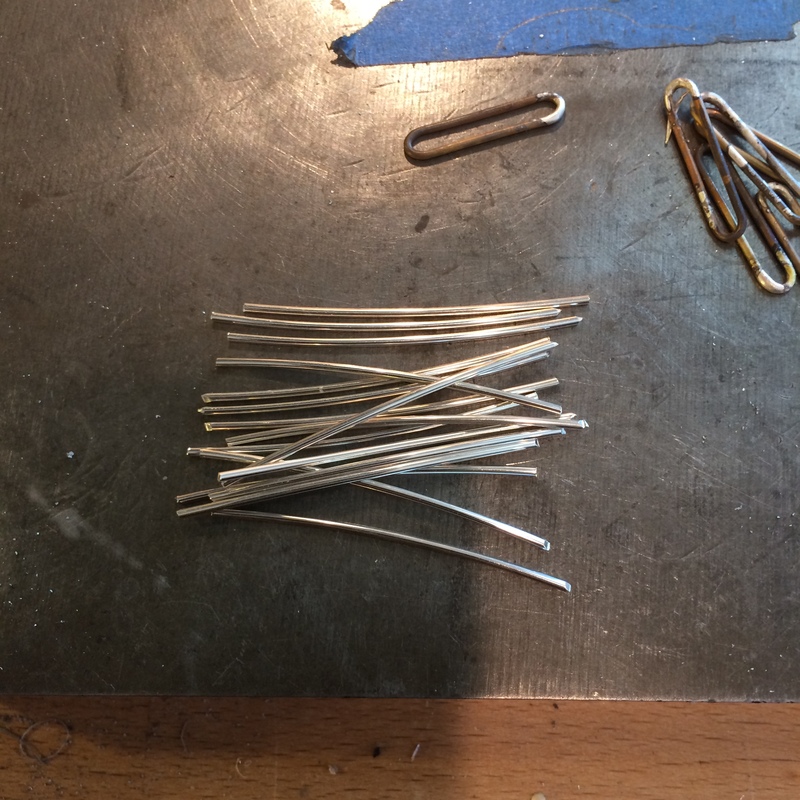 16 x 1.5″ lengths of 18 gauge ss wire. Ball up the ends trying to maintain a uniform length. Buff off the roughness of the ball. 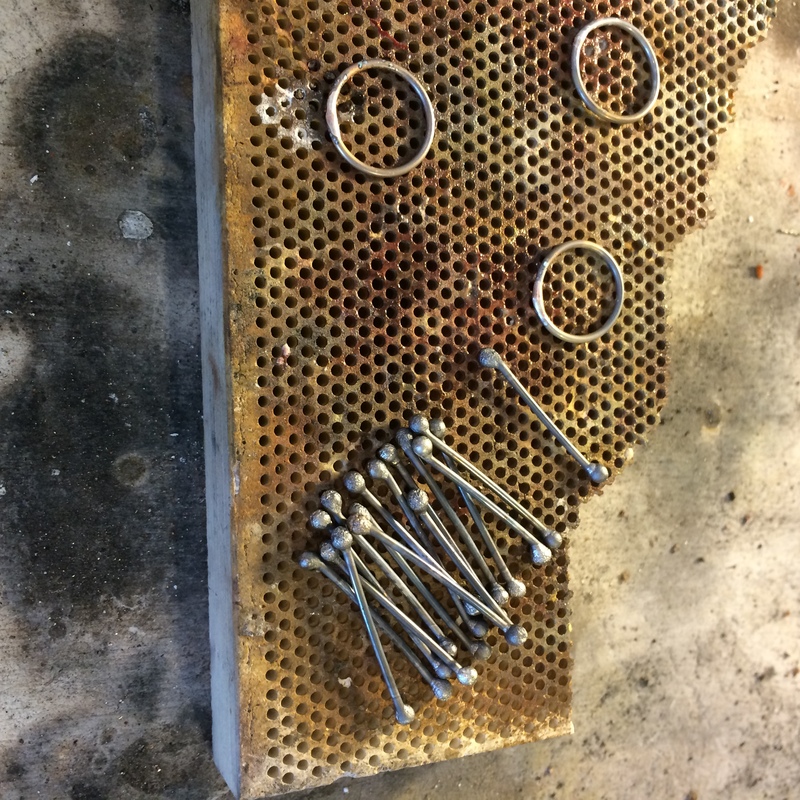 Buff down the soldered area of the links. ALWAYS use safety goggles and a mask. Bend the balled up lengths. 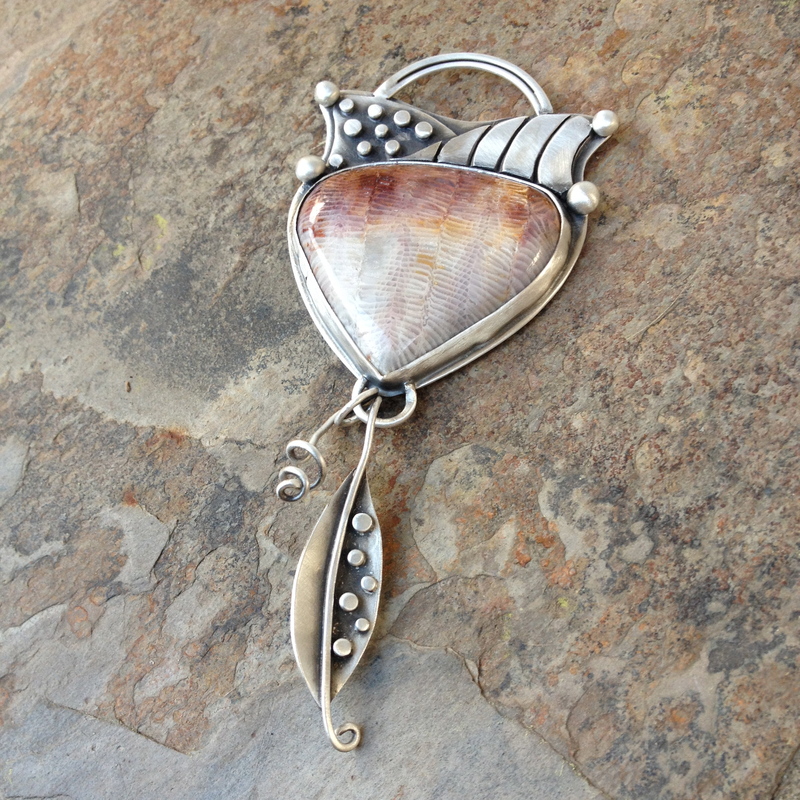 And attach one of the links to either side. You might need to pry open the center of the link to get the ball through. If you do, make sure you re-form the link. 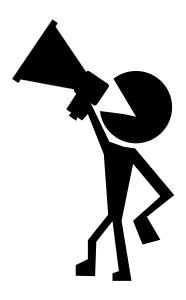 Close the ball completely so that the link doesn’t move out of position. Now you can complete the chain. Until you have the length you desire. 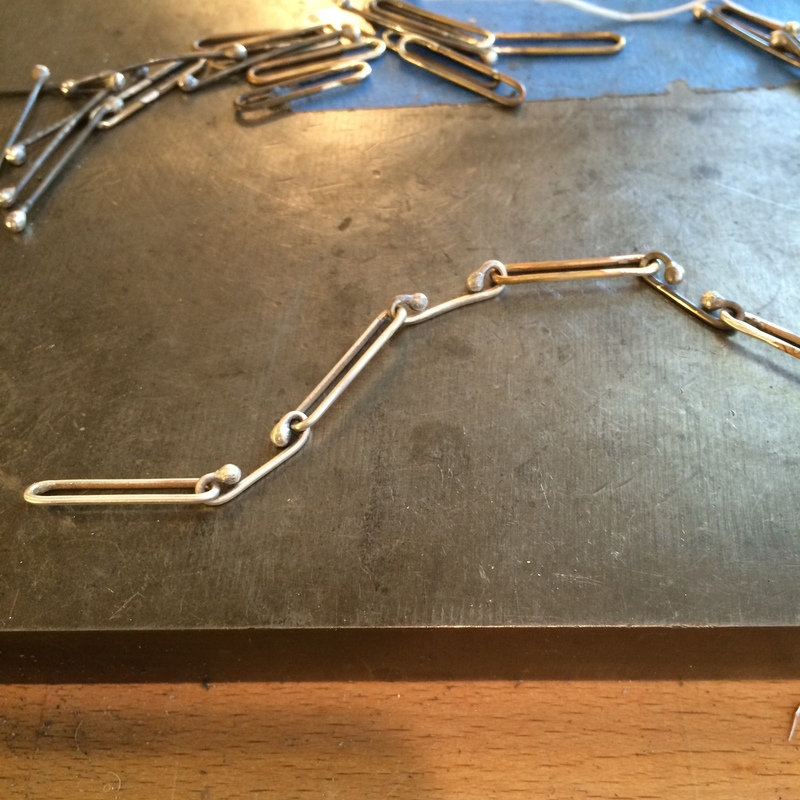 To make a clasp cut a 1.75″ length of wire and ball both ends as before. 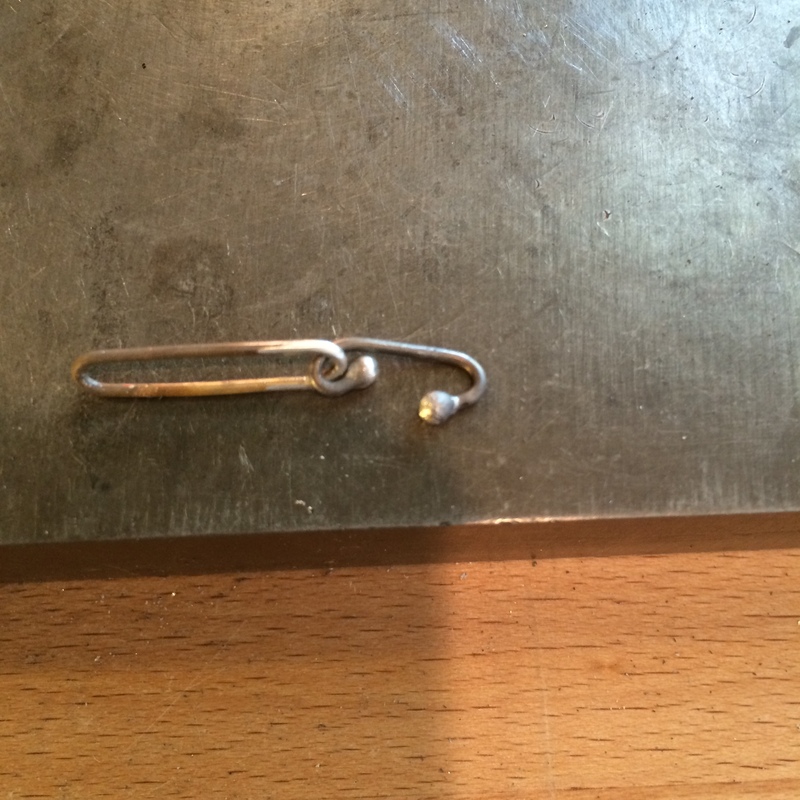 This time just bend one end the same as the others and shape the other end into the clasp end. 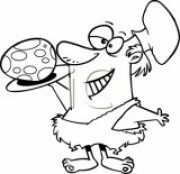 This entry was posted on Saturday, October 10th, 2015 at 10:05 am	and posted in Other Stuff. You can follow any responses to this entry through the RSS 2.0 feed. I have tool envy and I am not even close to doing this kind of work! 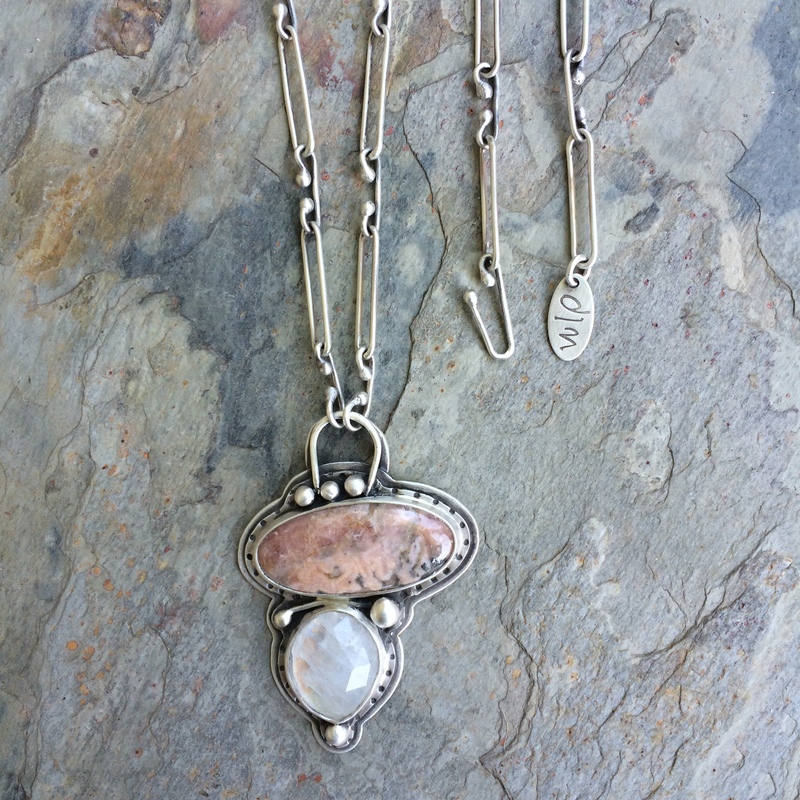 The chain is eye-catching and it looks like it will be easy to wear. 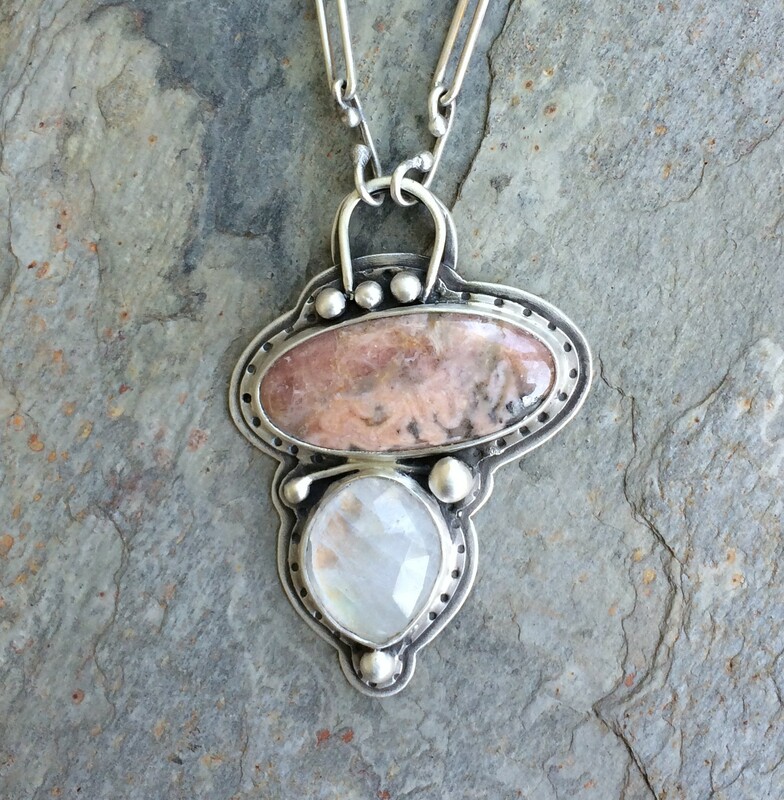 Of course it goes fabulously with the pendant. 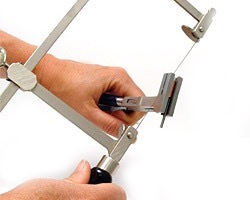 Ann Cahoon’s first loop in loop chain making video covers the jump ring maker and cutter in depth. That was an unexpected bonus, as I too have this tool but hadn’t yet attempted use. I know, and that’s what inspired me to get it out again and brush of the dust (or rather the rust) and give it another go. They all make it look so easy. I obviously haven’t got the knack. I was playing with this today and got some really cool earrings! I’ve been using my jumpring pliers upside down! Explains so much. I am gonna go n make some jump rings using tape RIGHT NOW! !